10-panel concertina 115 x 95 in acetate pocket with five images of the paintings and text by Simon Cutts used by Galerie Hubert Winter in Vienna in 2009. 200 copies. 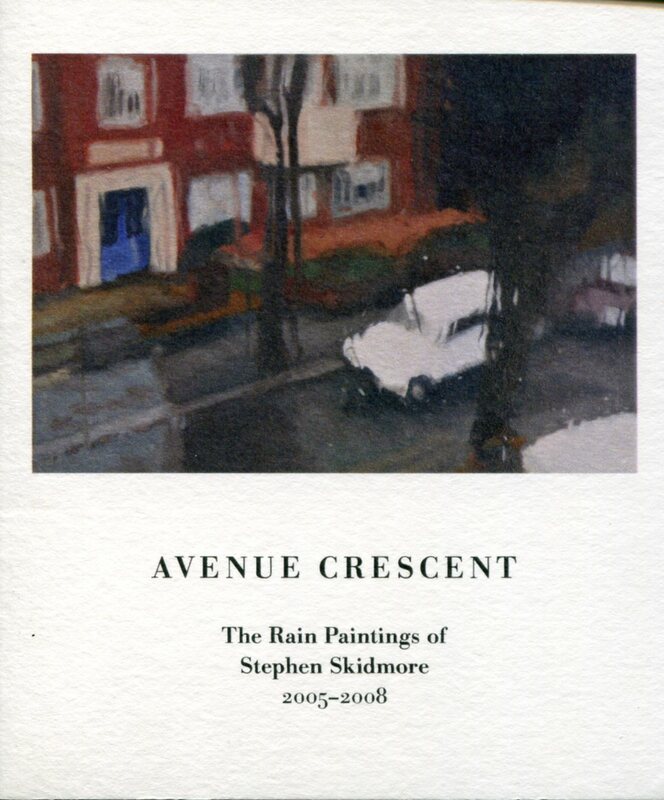 For the past thirty years Stephen Skidmore has worked from his small rooms in parts of London, first in gouache and acrylic, then in oils, accumulating the contents of at least four unseen exhibitions.